Dovetail Business Solutions launched ‘The Book on Logistics Software‘ in May 2014. 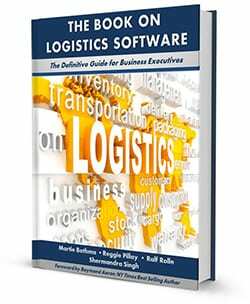 The Book on Logistics Software is the ultimate guide to conducting business in the logistics industry. More than eighty years’ worth of experience has been poured into the chapters which focuses on client acquisition and retention, staffing needs, disaster recovery, dealing with failed projects, job fulfilment, technical eco system, build vs. buy, change and technical directions – all pertaining to the logistics industry. The book is available globally on Amazon. “Interesting, helpful and insightful. The book focuses on the major challenges and opportunities in the logistics industry and serves as a helpful tool for understanding how logistics software works and how it should be approached by companies.” – Garry Marshall – MD of BidAir Cargo and Annual Logistics Achiever Awards Judge. “The Book on Logistics software gives an overview of all the tasks and challenges that business executives are faced with every day. It also throws some humour on the obstacles that software provider’s face together with industry stakeholders, and provides insight into why software is a necessity and how it can aid logistics processes” – Tiger Wessels – Founder of UTI Group. The book comprises knowledge from well known industry experts who share their expertise and knowledge.